The past weeks I have been working really hard with finishing the first scene, and I am almost there, there is some details with graphics and some effects animations. But I will start working on the following shots instead. 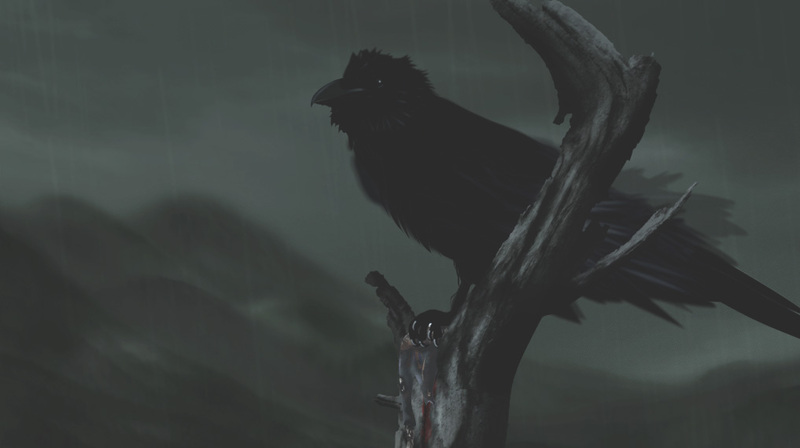 This is what the raven looks like when it is rigged in Anime Studio. 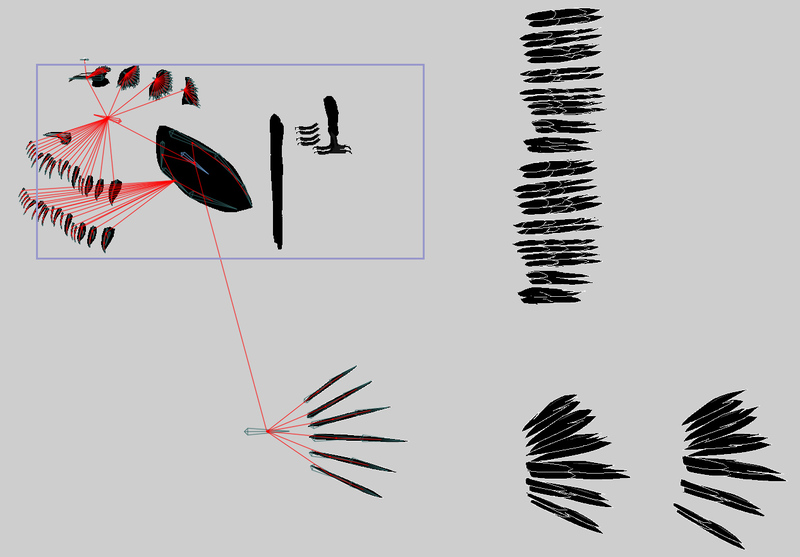 Once the rigging is done (in a correct way), it is fairly easy to keep track of all the parts. Ok folks, this is a big day! I have been working on one scene for the intro of Nim´s Journey for some weeks now. I feel very pleased with the result, and I am very glad that I now have found a style and a quality that will set the standard for this production. The clip you are about to see is still a working copy, and there are a couple of glitches that you may spot. But I wanted to publish it anyway as you have waited so patiently for so long. It is mostly a long slow camera movement where you will be able to see the titles, I just added a couple of them for you to see. I am not sure for how long I will have the clip up, but anyway, please enjoy! But for now, I will just give you a still. I have updated the look of the Nim´s Journey forum. Have a look! I have a “Set origin” problem in Anime Studio. I am trying to figure out how to set the origin of a group of shapes different than the layer they are placed in. 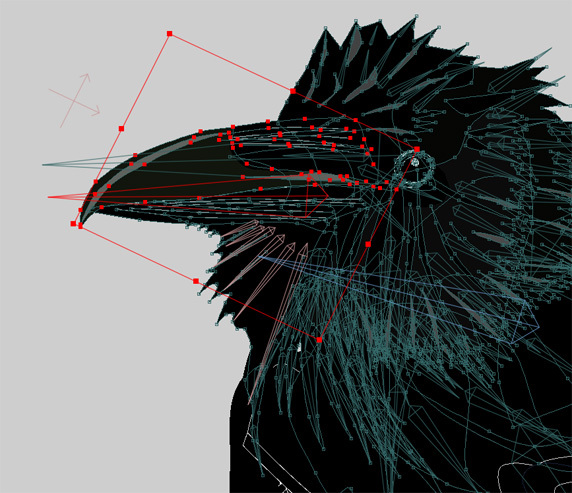 In this case the layer is rotated, and when I in this example would like to scale the beak sideways, the bounding box is rotated because the origin of the layer is rotated. 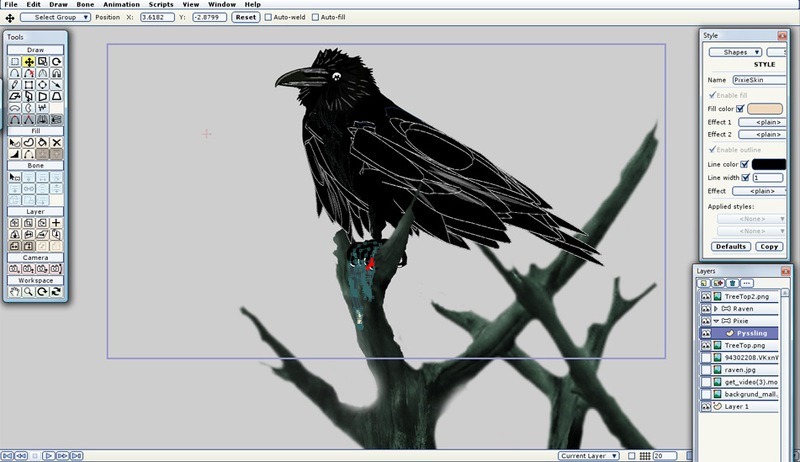 This is what I do right now, working in Anime Studio, rigging the raven and its prey. I am soon done with the graphics, and then I can start animating the first real scene of Nim´s Journey.